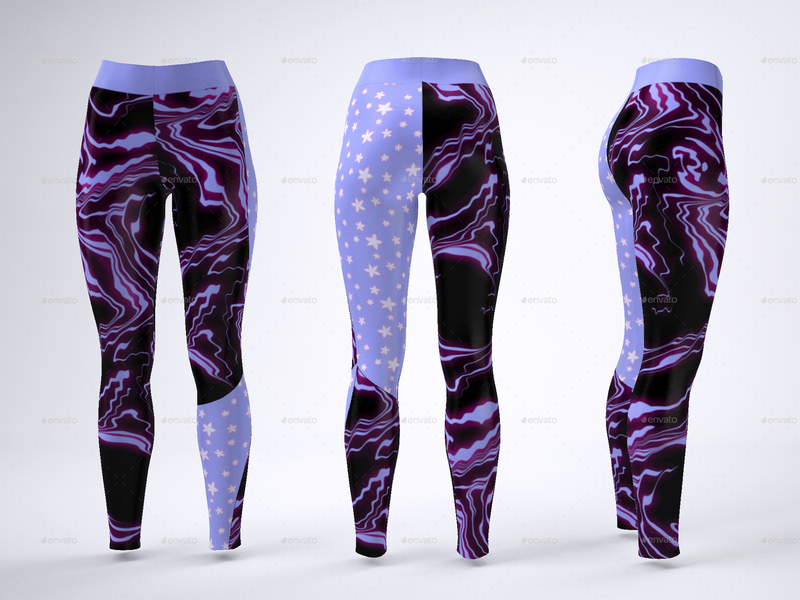 This mock-up lets you edit every part of the leggings. Fully wrap patterns, images, and designs, and see how they would work when the wearer is in motion. By purchasing this mock up you will receive 4 Photoshop files showing leggings from all sides. Add your own designs, images, fabric patterns, by copy and pasting your creations into the designated layers. For detailed instructions please read the Help file (view pdf file). File resolution is 2000 × 1500 px at 72ppi, the color mode is in RGB. Make sure your Photoshop meets all system requirements and has a functioning 3D feature. Not sure, download this file and check.